Year after year, Chafin Communities is an award-winning, #9 Leading Top Builder in Metro Atlanta. We continuously strive to maintain that standing by building homes that make our customers satisfied before, during and after the sale. Our team is constantly searching for ways to improve, modernize and tweak our home building process to make your home MORE to come home to for years. 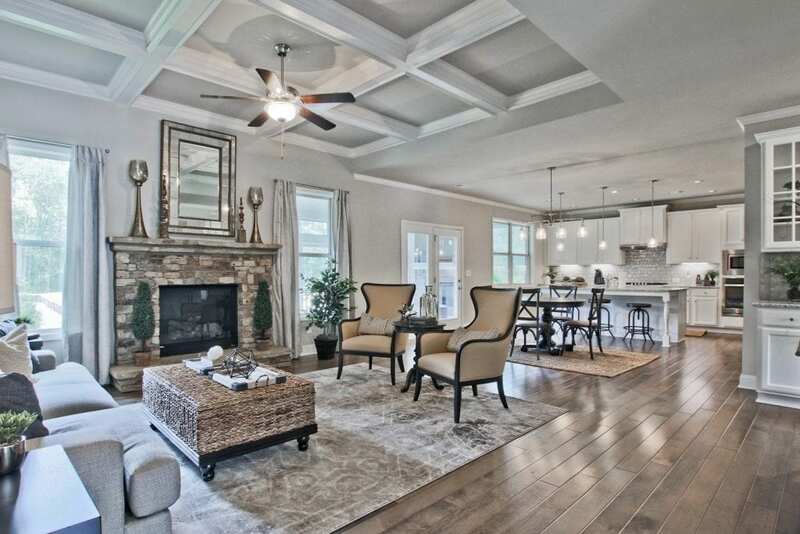 We specialize in single-family homes in the most sought after locations throughout Metro Atlanta ranging from low $200’s to over $1 million, with amenity packages ranging from sidewalks communities to gated swim and tennis. Chafin Communities has a solid reputation for building our homes with both form and function in mind. You will find a wide variety of floor plan choices, with multiple upgrades and customizable options, as well as homes that are stunning and aesthetically pleasing both inside and outside. Our home designs also offer low maintenance exteriors, modern technology advantages, and energy efficient designs to make your home the best it can be. We invite you to find your Chafin home today and see how much MORE you can come home to. Year after year, Chafin Communities has been awarded OBIE Awards by the Sales and Marketing Council of the Greater Atlanta Home Builders Association for our quality construction, design innovation, and industry achievements. The OBIE Awards are the highest level of recognition given by the Atlanta housing industry. œWe are so proud to be honored by the Greater Atlanta Home Builders Association and earning this standard of excellence every year, said Eric Chafin, president of Chafin Communities. œBeing recognized by our peer group is a very significant accomplishment and reflects the priority we place on quality, style, and innovation.